On May 14th, 2018, Timothy R. Rudd, age 29, of Bourbonnais, IL. 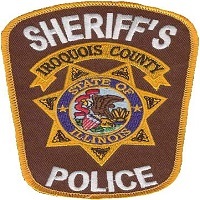 turned himself into the Iroquois County Jail for an outstanding Iroquois County warrant. Rudd was wanted for failure to appear for a violation of an order of protection. Rudd later posted bond and was released. On May 15th, 2018, Matthew J, Langston, age 26, of Donovan, IL. turned himself into the Iroquois County Jail for an outstanding Iroquois County warrant. Langston was wanted for failure to appear for battery. Langston remains at Iroquois County Jail in lieu of bond.